Once part of Morrisania, Crotona Park East is home to more than 25,000 people. New housing development development is bringing thousands of new residents and consumers to the area, drawn by beautiful Crotona Park in the north, good public transit options, and the over 300 businesses in the Southern Boulevard Commercial District. Along the Southern Boulevard Business Mile, landmarks like the old Freeman Theater remind passersby of neighborhood’s rich history. Crotona Park East’s historic row houses and ranch-style homes now mix with a growing number of cutting-edge, environmentally sustainable buildings. Chief among these is WHEDco’s Intervale Green, the nation’s largest multi-family ENERGY STAR-certified affordable housing development, which includes a rooftop urban farm. The Southern Boulevard Merchant Association has partnered with WHEDco to promote small business enterprising and initiate improvements along the Southern Boulevard Business Mile. Crotona Park East has a complex history of vibrancy, blight, and renewal. Its merchants and residents have held fast to their neighborhood and are critical in driving its rebirth. 1930s through 1950s: Morrisania, a loosely defined neighborhood named for New York’s prominent Morris family, flourishes as Eastern European and Jewish residents settle along the Bronx’s new rapid transit lines. Working- and middle-class families find in the South Bronx a community rich with activity and promise. Cultural offerings abound on Freeman Street, Southern Boulevard, and Boston Road; some theaters in the neighborhood become destinations for New Yorkers from other boroughs. 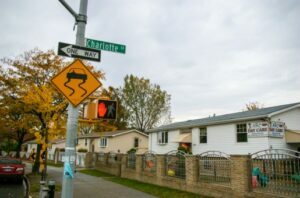 1960s and 1970s: The suburban housing boom ushers in the era of “white flight” from the nation’s socioeconomically diverse urban areas; minority communities, including Black and Puerto Rican populations, grow in New York’s inner city. An economic crisis depletes the housing stock, and banks and the real estate industry disinvest from the South Bronx on a historically unprecedented scale. Municipal, state, and federal government agencies diminish the area’s social services; residents of all races, virtually unable to live in their neighborhoods, are forced to move out. Crime is a serious concern: gangs battle over turf, and police engage in corrupt activity. Arson rates increase dramatically as greedy slumlords set their apartment buildings on fire for insurance money; New Yorkers desperately declare that “the Bronx is burning.” Firefighters arrive only after buildings have burned enough to be deemed uninhabitable. 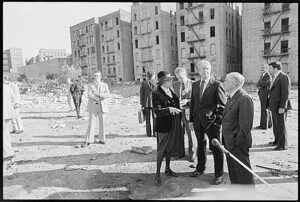 1977: President Jimmy Carter visits Charlotte Street, near Crotona Park, to witness the devastation that the nation now associates with the South Bronx. He finds razed remains and vacant lots where a vibrant, diverse community once proudly stood. The region, now a worldwide symbol of urban blight, haunts city officials, who are urged to act. But help is slow in coming. 1980: Presidential candidate Ronald Reagan emulates President Carter with a visit and vows to rebuild the South Bronx, but once he is elected, Charlotte Street becomes known as the Street of Broken Promises. The buildings that stand on the future site of Intervale Green are demolished, and the triangular lot becomes a dumping ground for contaminated materials for over a quarter-century. One block north, Edward Logue, of the South Bronx Development Organization, unveils a plan to develop Charlotte Gardens, at Mayor Ed Koch’s request. Many criticize the low-density, Levittown-like nature of his model for the development, which is slated to include ninety ranch-style, single-family homes. 1981: In the nation’s collective conscience, the South Bronx is still a barren wasteland. Paul Newman’s gritty crime drama Fort Apache, The Bronx (1981) exacerbates the area’s reputation as the archetype of urban blight in America and receives criticism for its prejudicial depiction of minority populations. Early to Mid-1980s: Construction begins on Charlotte Gardens. Developers deem the large quantity of rubble they encounter too costly to clear, electing instead to compress the debris and place the pre-manufactured homes over it. Urban Development Action Grant, the Local Initiatives Support Coalition (LISC), and Chemical Bank help make the units affordable to prospective homeowners; prices range from $47,800 to $53,800. 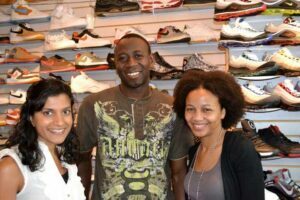 Mid Bronx Desperadoes (MBD) cosponsors the project. The average family income for applicants is over $30,000. Mid- to Late 1980s: With the unexpected success of homeownership in the blighted community, MBD invests in a new development comprising 111 two-story townhouses, complete with awnings, parking pads, and entranceways, on Intervale Avenue between Home Street and Jennings Street. They are sold for between $90,000 and $123,000 after the inclusion of a $25,000-per-unit federal subsidy. Constructors again encounter difficult terrain, and developers are subsequently forced to raise final prices. 1990s and 2000s: The Charlotte Gardens and Salters Square developments bring a level of stability to the area. Density levels remain relatively low, but population levels begin to increase as developers invest in housing. Some vacant lots and dilapidated buildings remain, and crime on the neighborhood’s empty sidewalks continues to plague community members. The specter of neglect persists. 2004 and 2005: After more than eight years of providing affordable housing and social services at its award-winning flagship building, Urban Horizons, the Women’s Housing and Economic Development Corporation (WHEDco) proposes a second development on the city-owned vacant lot at the intersection of Louis Niñé Boulevard and Intervale Avenue. The City of New York, recognizing WHEDco’s success as a community anchor in the South Bronx, approves the project. Late 2005 and 2006: Construction begins, but WHEDco immediately faces delays due to the discovery of contaminated soil and water, oil spills from underground storage tanks, and difficult terrain on which to construct the building’s foundation. After spending over $1,000,000 on unanticipated costs, WHEDco finally begins construction of the 128-unit Intervale Green and the 46-unit Louis Niñé House. 2006 and 2007: WHEDco expands its award-winning after-school program to nearby P.S. 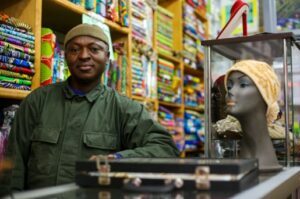 2 Morrisania, which has since closed, and launches initiatives for commercial revitalization and community safety in Crotona Park East, with support from the New York City Department of Small Business Services and the Blue Moon Fund. May 2008 to August 2008: WHEDco and its leasing partner, Phipps CDC, open the application process for prospective tenants of Intervale Green. While Phipps screens over 5,000 residential applicants, WHEDco markets the ground-floor commercial spaces, which are available for lease. January 2009: Construction of Intervale Green is complete. A celebratory Open House enables government officials, private-sector supporters, community members, and friends of WHEDco to tour the building. Sixty percent of apartments are leased, with the remainder pending. The South Bronx prepares to welcome 128 families to its historic community, now a glowing symbol of urban rebirth. 2010 and 2011: WHEDco partners with local business owners to form the Southern Boulevard Merchant Association (SBMA), which hosts events and organizes advocacy efforts to promote community safety, security, and growth. The SBMA’s first president, Jebel Ceesay, cites WHEDco’s community research, which has revealed retail leakage worth millions of dollars, as incentive to unite local business owners to promote economic activity along Southern Boulevard. 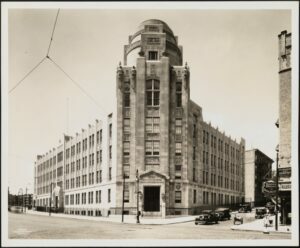 April 2012: The Bronx Music Heritage Heritage Center (BMHC), based in one of Intervale Green’s ground-floor retail spaces, opens its doors to the public. 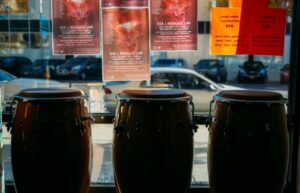 Founded by WHEDco and operated by the BMHC Music Advisory Board, the BMHC quickly fulfills its promise of becoming a vibrant community center devoted to celebrating the Bronx’s rich artistic history and incubating new work. BMHC programs include live music performances, readings, film screenings, art installations, and historic trolley tours of Crotona Park East. 2013: The SBMA and WHEDco, recognizing the importance of healthy infrastructure in Crotona Park East, successfully petition the Metropolitan Transportation Authority to repaint the trestle that supports the elevated subway tracks along Southern Boulevard. 2014: WHEDco sponsors the first of two Bronx Summer Fests on Louis Niñé Boulevard. In addition to bringing the community together for a day of food, performances, and games, the festival grants residents the opportunity to learn about South Bronx resources and services. June 2014: The first of two Bronx Boogie Down Booths opens on Freeman Street; another will open in Seabury Park, near East 174th Street, in 2015. The solar-powered booths, sponsored by the New York City Parks Department, offer community members a colorful place to learn about community events, enjoy artwork by local youth, and listen to a variety of tunes by Bronx artists. 2017: WHEDco conducts a Commercial District Needs Assessment (CDNA) along Crotona Park East’s main commercial corridors. The CDNA helps WHEDco’s Community Development Department understand the diverse needs and concerns of the neighborhood’s merchants, shoppers, property owners, and community organizations, as well as identify opportunities for physical improvements. 2018: Thanks to persistent efforts on the part of the SBMA and the Crotona Park East community, the Southern Boulevard Business Mile is recognized across the South Bronx and New York City as a bastion of positive growth. The neighborhood’s residents enjoy access to an ever-expanding number and variety of small businesses, many of which are undergoing storefront improvement process organized by WHEDco and sponsored by LISC. The SBMA debuts its updated website, which will serve as a resource for current and prospective members of the vibrant Crotona Park East community.